U.S. Justice Department officials confirmed that unindicted co-conspirators remain in their ongoing investigation of Volkswagen Group's diesel emissions scandal and that three of the six VW executives already publicly charged are still employed by the automaker. U.S. Attorney Barbara McQuade on Wednesday confirmed to Automotive News that executives Oliver Schmidt, Juergen Peter and Heinz-Jakob Neusser remain employed by VW, though Neusser is suspended. Schmidt was arrested Saturday while vacationing in Miami and remains in custody in Florida. Before returning to Germany to serve as a principal deputy to Neusser in March 2015. Schmidt, 48, was a high-ranking VW executive in Auburn Hills, Michigan, who oversaw the automaker’s interactions with U.S. environmental regulators. Neusser, the former head of development for the VW brand, is the highest ranking VW executive to date to be charged. The indictment indicates that Neusser "supervised a group of approximately 10,000 VW AG employees." The indictment identifies Peter as continuing to work in Germany for VW's certification group, where he has worked since 1990. The indictment says Peter "was one of the liaisons between [U.S.] regulatory agencies and VW." Justice officials indicated that Richard Dorenkamp, former head of VW's engine development after-treatment department, has retired, as has Bernd Gottweis, who was a supervisor in VW's quality management and product safety department. Jens Hadler, who was head of VW brand's engine development department, was "no longer working for the company," Justice officials said. VW will face oversight by an independent monitor for three years and has agreed to make significant reforms. The company agreed to fire six employees, suspend eight and discipline three who participated in diesel misconduct, Reuters reported, but it was unclear which individuals were slated for those actions. The agreement still must be approved by U.S. District Judge Sean Cox in Detroit. Spokespersons at the group's headquarters in Wolfsburg, Germany, were not immediately reachable for comment. However, officials have in the past declined to comment on the specifics of the case as long as investigations continue, while pledging the company's continued constructive cooperation with authorities. In a statement Wednesday, a senior Volkswagen director, Stephan Weil, emphasized that an examination of the events leading up to the scandal would continue irrespective of the agreement and that he as head of Lower Saxony, a large shareholder, would continue to support this process. Meanwhile, McQuade, the U.S. Attorney from the Eastern District of Michigan in Detroit, confirmed that investigators continue to believe others were involved in the conspiracy, as laid out in Wednesday's indictments. 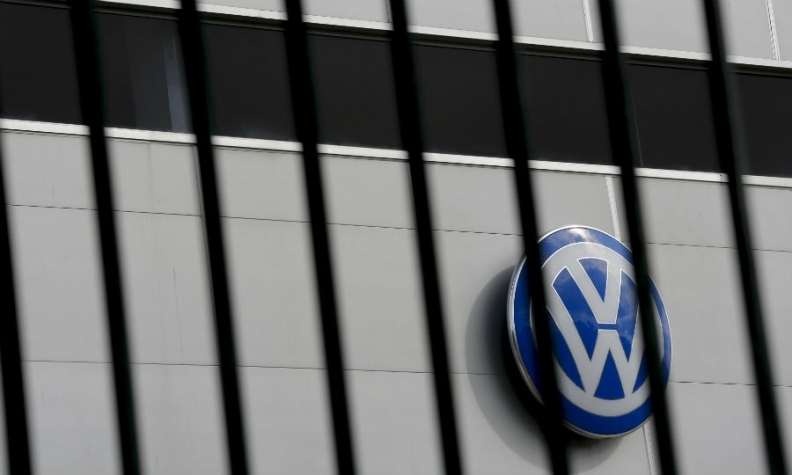 "The investigation does continue, and VW has an obligation to cooperate," McQuade said. At the Justice Department's press conference Wednesday in Washington, D.C., FBI Deputy Director Andrew McCabe said it was "now clear that Volkswagen top executives knew about this illegal activity and kept their shareholders and the public in the dark." He said the government's settlement with VW and the resulting indictments are "a great example of the fact that no corporation is too big, no corporation is too global, and no person is above the law." McQuade said the U.S. investigators have "worked closely and collaboratively with German prosecutors" as they developed their cases. "They’ve provided some evidence to us, and they know about ours," she said. She also said that as the investigation widened, "some VW employees have been cooperative in providing information to us." She said she didn't have any information about potential extraditions from Germany but said that Justice officials "will explore our options for getting them here." McQuade said other automakers need to closely watch the VW case unfold, not just as a warning against wrongdoing but also as a message that such wrongdoing will eventually carry consequences. "If you are an automaker that plays by the rules, you are not some chump who is going to be competitively disadvantaged because you chose to act within the law." Christiaan Hetzner and Reuters contributed to this report.